Tattered Lace Time to Relax die is perfect if you are looking to make something with that perfect setting. This die set features a countryside lake scene panel that can be used as a background. 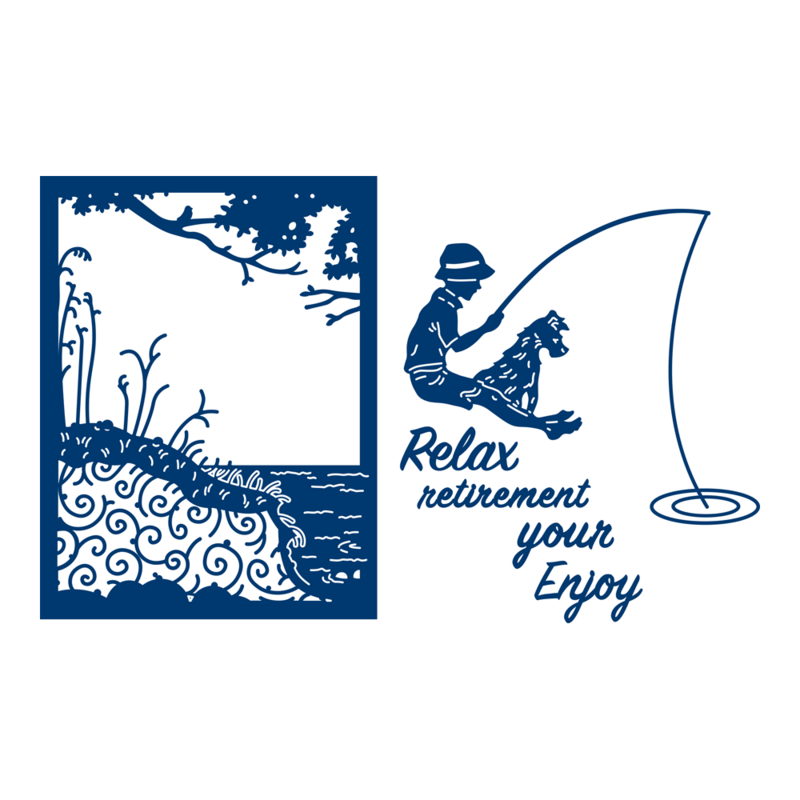 There is also a boy fishing with a dog that can be added to the scene along with a number of sentiment words ‘Relax’, ‘Retirement’, ‘Your’, and ‘Enjoy’. Use the words together or on their own for different occasions add the sentiment dies onto gift tags and boxes for that extra special touch.